Dustin Broadbery discusses investing in Turkey and it’s open and pro-foreign investment climate with Murat Özdemir, UK country advisor of the Investment Support and Promotion Agency of Turkey (ISPAT). Global-Britain: There are 3,000 British companies currently operating in Turkey, including several banks, manufacturing companies, energy firms, retail giants, telecommunications carriers and high street names. 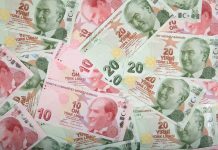 Please outline some of the benefits for UK businesses investing in Turkey? Murat Özdemir: Each business may have its own rationales for investing in Turkey, and those may vary depending on the business case, but generally speaking the key fundamental reasons that make Turkey an investment hotspot are similar for all international or local investors. Turkey is one of the fastest growing economies in the world, the fastest growing economy in Europe and the leader among the OECD members. With a young, well-educated and tech-savvy population, Turkey’s dynamic market offers lucrative business opportunities for a wide range of industry verticals with top quartile returns on the investment. Obviously, many international companies leverage Turkey’s unique geographical location to access not only developed countries in Europe, but also many emerging economies within proximity. 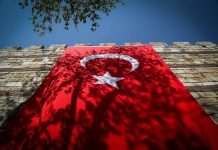 Using Turkey as a springboard, international investors can enter into a region with 1.5 billion people and $26 trillion of GDP in a four-hour flight distance, in which some 45 percent of the global merchandise trade occurs. Quality and skilled workforce, productive labour and robust infrastructure are the main drivers of Turkey becoming a manufacturing hub for multinationals. Also, many of those MNCs manage their regional operations and oversee dozens of countries from Turkey. Equidistant to Tokyo and New York, Istanbul is considered as a new regional financial centre hosting dozens of global banking and insurance firms. For instance, International Finance Corporation (IFC) of the World Bank group established its first operations centre outside Washington, DC in Istanbul. IFC’s Istanbul office now employs around 200 people from 40 different nations. Investors expanding their businesses into Turkey also enjoy Turkish Airlines’ growing international network. Now, Turkish Airlines is ‘the most’ global airline with more than 230 direct international outbound flights from Turkey to around 120 different countries. Global-Britain: Please introduce The Investment Support and Promotion Agency of Turkey (ISPAT), especially in terms of the consulting, coordination, business facilitation and site selection support services which your agency provides for investors, and an understanding of how the agency assists foreign businesses? Murat Özdemir: Founded in 2006, ISPAT is the official organization of the Prime Ministry. It has a mandate of promoting Turkey’s investment opportunities to the global business community and delivering free-of-charge assistance services to the international investors before, during, and after their entry into Turkey. Our headquarters are in Ankara; we have a larger team in Istanbul and around 15 satellite offices globally. ISPAT works as a reference point for international investors to make life easier for them in Turkey, and functions as a catalyst accelerating the investment development process to accomplish win-win outcomes both for the private investor and the Turkish economy. We prepare sector reports, presentations, updates, and tailor-made value propositions for investors. We facilitate connections to government bodies as well as with private institutions. We assist international investors for site selection, partnerships, permitting and licensing processes and respond to all sorts of inquiries on investing in Turkey. There are some 200 investment promotion agencies worldwide trying to attract international investments to their countries, states or regions. ISPAT differentiates itself from the competition in two ways. First and foremost, it is established under the auspices of the Prime Ministry and directly reports to the prime minister, which brings organizational flexibility and accessibility while coordinating among different government bodies for bureaucratic procedures. This includes, but is not limited to: permitting, licensing, incentives and various approvals throughout the investment projects. Secondly, more than 80 percent of our personnel have a private sector background with hands-on experience in various investment projects; they are now serving as the solution partners of international companies within the government. ISPAT has also been chairing the World Association of Investment Promotion Agencies (WAIPA) since 2014. Global-Britain: Turkey has a pro-foreign investment regime, supported by many incentive schemes to foster inward investment into Turkey. Please outline some of the government guarantees and project supports that are in place to help facilitate the entrance of UK companies into Turkey? Murat Özdemir: Turkish government offers a comprehensive investment incentive scheme for manufacturing investments in Turkey with a wide range of instruments including tax credits, tax exemptions, social security premium aids, financing supports and other financial and non-financial benefits. Thanks to the brand-new amendments, those incentives can also be tailored for the projects in priority sectors which are classified as key areas for the technology transfer and economic development. Also, the government provides support programs for employee training initiatives, for R&D and Innovation projects, and for exporters through various grants, incentives, and loans. Thanks to the increasing amount of financial support funneled into the research and development projects, Turkey’s R&D spending has skyrocketed in the last 15 years. The share of R&D spending in GDP increased from 0.15 percent to over one percent, while the nominal GDP almost quadrupled from $240 billion in 2002 to $860 billion in 2016. Global-Britain: How should a British investor approach investing in Turkey? Murat Özdemir: We are working as a one-stop-shop; all international investors can reach out to us for any sort of preliminary guidance on their potential investment project in Turkey. The next steps of the process will build up based on their mandate and strategy. Our website (www.invest.gov.tr) is an up-to-date reference and a reliable repository for all investors looking for briefings on Turkish economic outlook, investment climate, sector highlights and regulatory framework. We have a local office in London serving British investors and responding to their inquiries. We also pay visits to different cities across to the UK to meet with investors and to promote Turkey’s investment opportunities. Global-Britain: What are the legal and regulatory frameworks that an investor should be aware of when investing in Turkey? Murat Özdemir: In 2003, the Turkish parliament passed the Foreign Direct Investment (FDI) Law, a frame-law making life easier for international investors, enforcing ‘national treatment’, which prevents foreign investments from any sort of discrimination. Once a company is registered in Turkey—no matter the shareholding structure—it is guaranteed to be treated equally by Law. There are measures protecting assets against expropriation; also, the free transfer of funds in both ways is secured. Employment of expatriates is possible, and relatively easy to implement. International investors can acquire real estate with no limitation, and in fact, individuals can buy properties with their passports. The acceptance of the international Arbitration Courts and the ongoing harmonization of laws with EU legislation have made Turkey one of the most liberal countries in the world, both in terms of the legal framework for FDI and the investment environment. Turkey also decreased corporate taxes from 33 percent to 20 percent for all companies. In 2012, Turkey started implementing the new Commercial Code, which brought international auditing and accounting standards for all companies. Hence, a transparent, accurate, and compatible financial reporting system for every registered enterprise in line with IFRS. To improve the investment climate, the Turkish government continues to implement structural reforms and to upgrade regulatory framework in line with EU standards. According to the OECD, Turkey emerged as the top reformer in terms of removing regulatory restrictions for the foreign direct investments. ISPAT is positioned as an interface between investors and the government. Thanks to our arms-length relationships both with the businesses and government bodies, our efforts fill various gaps, mitigate potential risks, and improve the channels for an effective B2G communication. Global-Britain: What are the entry requirements for UK residents—in terms of visas, permits or other requirements—for foreign individuals entering Turkey for business purposes? Murat Özdemir: The visas for travelling to Turkey, either for business or pleasure, can be obtained at the border gates. There is also an e-Visa valid for travels, which can be received electronically in less than 10 minutes at www.evisa.gov.tr. For permanent stays, the residence and work permits require individual applications, which can also be completed electronically. There are some rules and additional requirements, but the process is pretty straightforward. Global-Britain: Please provide an understanding of Turkey’s tax system? Outlining any favorable incentives that are in place to attract British companies when investing in Turkey? Murat Özdemir: Corporate Tax is 20 percent for all enterprises. With the investment incentives, this rate can go down to 0 throughout the tax allowances. Individual income tax is progressive with a maximum effective rate of around 35 percent on the highest bracket. The sales tax varies based on different categories of the goods and services from 0-18 percent, which is also exempted for machinery and equipment procured for new investments. Turkey has Customs Union with the EU and Free Trade Agreements with 27 countries, so there are no tariffs for trading majority of goods with a total market of around 1 billion people. The government offers a comprehensive investment incentives package with tax allowances, tax breaks, social security premium supports and other practical conveniences, which dramatically shortens the payback period of the investments. Research and Development initiatives are also heavily incentivized; 100 percent tax deductions, exemptions, grants, loans and other financial supports easily offset R&D expenditures. Turkey has bilateral investment protection treaties with 75 countries and avoidance of double taxation agreements with 80 countries—both are in force with the United Kingdom. Global-Britain: Are there any minimum capital requirements that investors should be aware of? Murat Özdemir: Investors can invest any amount of capital, there is no threshold. They can acquire companies or assets, where the procedures and consequences may differ, but there is no limitation on the shareholding. If they consider incorporating a business, there are several company forms, the most common ones are Limited Liability Company (LLC) and Joint Stock Company (JSC). There is a minimum capital requirement of 10,000 TRL for LLCs and 50,000 TRL for JSCs to establish those legal entities. Aside from that, local branches and liaison offices can also be established in Turkey, which are not considered as legal entities and subject to special permits. Global-Britain: Could you provide an understanding of opportunities for British companies across key sectors (including agriculture, automotive, chemicals, ICT and machinery)? Murat Özdemir: Similar to many emerging markets, opportunities are abundant. Most of the industries are growing way faster than European averages due to relatively untapped markets, promising demographics, and an emerging middle class with surging consumption patterns. Investors can immediately recognize the upside potential if they just benchmark per capita consumption/production figures for their target product or service in Turkey. For instance, even the unprecedented growth in the last 10-15 years more than doubled the total vehicle fleet in the country— the per capita vehicle size is still less than half of Europe. Producing some $80 billion of agro-food and beverage annually, Turkey exports around $17 billion of food products in over 1700 different categories. Turkey is the 14th largest auto producer in the world with 15 OEMs, second largest supplier to the EU; the local annual production is over one million vehicles, and the market has been growing six percent on average. One out of every three TV sets sold in Europe is made in Turkey—it is the largest appliances manufacturer in Europe. Turkey is the eighth largest crude steel producer globally and second largest in Europe, with 34 million tons of annual production. One third of Turkey’s FDI stock is in manufacturing, and we believe Turkey continues to be a very competitive spot for new manufacturing investments in automotive, electrical appliances, chemicals, aerospace/defence, and ICT. Many subsectors in energy and transportation infrastructure have always been attractive. Turkey has a successful track-record in implementing Public-Private partnership projects in transportation, energy, healthcare, and other social infrastructure projects with over 120 implementations and $150 billion of contract volume. The pipeline is also full of such projects including ports, airports, highways, hospitals, logistics hubs, schools, etc. Global-Britain: Turkey’s financial services have gone through a radical overhaul since the financial crisis of 2001, with its banking industry being considerably healthier than many of its European counterparts. Could you describe some of the opportunities for British companies investing in Turkey across the retail financial services industry? Murat Özdemir: The Turkish financial services sector has been resilient during the financial turmoil in 2009—not a single bank has been bailed out in Turkey. The sector posted robust growth in the last 15 years, with an average over 10 percent, and attracted total foreign direct investment volume over $50 billion. There are 53 banks, 21 of which have major foreign shareholders. The profitability of the financial services sector is also astonishing; where net profits of Turkish banks rose 33 percent in the first half of 2017. Regarding the new entrants, there is an increasing interest from Asian financial markets recently; commercial banks and insurance firms from Japan and China have been active in establishing new operations. The insurance sector is still unsaturated and growing with innovative products; Islamic Finance is another high-growth area. Project/structured finance portfolios of local banks are also growing fast with participation of international banks and multilaterala providing long-term financing for energy and transportation infrastructure projects. A well-established financial services sector not only offers opportunities for banks, insurance companies, and other financial institutions for potential expansions, but also helps nurture a technology ecosystem with a growing number of fin-tech start-ups. Istanbul International Finance Center (IIFC), a project led by the deputy prime minister in charge of economic affairs, is a profound transformation process upgrading the legal and technological infrastructure to make Istanbul first a regional, then a global financial hub. An extensive list of actions has been put together with industry stakeholders to amend laws and regulations. Also, state-of-the-art facilities to be allocated for financial enterprises are under development in a prime business district in the Asian side of Istanbul. Global-Britain: In January 2017, Britain agreed a £100 million defense deal to help develop fighter jets for the Turkish air force and in April 2017, Rolls-Royce and Kale Group in Turkey announced the formation of a joint venture company to target aero-engine opportunities in Turkey. Please outline some of the opportunities for British companies investing in Turkey’s defense and aerospace sector? Murat Özdemir: Having the second largest military forces of NATO in terms of total headcount, Turkey manages one of the largest and most comprehensive defense procurement programmes in the World. The country spends over $15 billion on its military annually, and international sourcing of machinery, equipment, other materials and services make it the sixth largest defense importer globally. The Turkish government announced various local defense industry enhancement programmes in the last decade. This industry is considered as the most strategic within the investment incentives scheme offered by the government. Like many other jurisdictions, the local content and investment requirements constitute a significant portion of the off-set programme, where international suppliers seek local partners to match their commitments. Hence, the investment rationales are two-fold. On the demand-side, there is a defense procurement system promoting local content, and on the supply-side, lucrative investment incentives improve the project economics. The TF-X (Turkish Fighter Jet) project is a very important milestone for Turkey’s localisation journey in defense and aerospace. We believe that the partnerships will not be limited with majors like BAE Systems and Rolls Royce; as their suppliers, service providers, parts manufacturers, and all international solution partners will join the crowd as this ambitious project is on-stream. Global-Britain: What are the recent reforms that have been enacted by the government to increase flows of FDI from global multinationals? Murat Özdemir: The new Intellectual Property Law has been passed by parliament in 2016, a state-of-the-art regulation governing the liabilities for protecting proprietary know-how and technology, which may be a key concern for global multinationals in emerging economies. The Personal Data Protection Law was also enacted in 2016 harmonizing the rules and regulations with the EU. The investment incentives scheme was upgraded in 2016 with new instruments for priority investments and increasing contributions of the government. The scope of R&D and Innovation Support Law has been expanded. Istanbul Arbitration Center was founded in 2014, providing fast-track resolutions for contractual disputes for businesses. All exchanges including Istanbul Stock Exchange, Derivates Market, Gold Exchange, have been unified under Borsa Istanbul in 2012, following the New Capital Markets Law in 2012. A new decree for Regional Management Centers (aka liaison offices) became effective in 2012, which brought practical conveniences for international companies using Turkey as a hub for overseeing regional operations. Global-Britain: Turkey’s energy sector requires more than $130 billion in investment funds by 2023, with a demand for energy increasing from six to eight percent annually. This supports the country’s plans to reform energy production to meet increasing demand, setting a target for the share of renewable energy to reach 30 percent of total energy consumption by 2023. Could you outline some of the opportunities in Turkey’s energy space for British companies investing in Turkey? Murat Özdemir: Turkey is not a major hydrocarbon producer; we rely on imports for 92 percent of the oil and 99 percent of the natural gas that we consume, and hydrocarbons constitute 60 percent of the 130 million TOE of primary energy consumption in the country. Hence, any investment project with domestic production minimizing the reliance on foreign resources is prioritized and heavily incentivized by the government. Aside from exploiting domestic resources in upstream oil & gas and coal, the government aims to maximize the utilization of renewable power generation with a lucrative feed-in-tariff programme applicable for hydro, wind, geothermal, solar, and biomass power projects. Local equipment manufacturing projects for energy infrastructure in generation, transmission, distribution and storage are also receiving the highest level of investment incentives, so international companies can find various opportunities across the value chain. Currently, Turkey does not have nuclear power in the energy mix. However, there are two projects, each with an installed capacity around 4,800 MW, that are under construction by international JVs. The ongoing developments in the nuclear industry offer first-mover advantages for the international investors investing in Turkey as well. 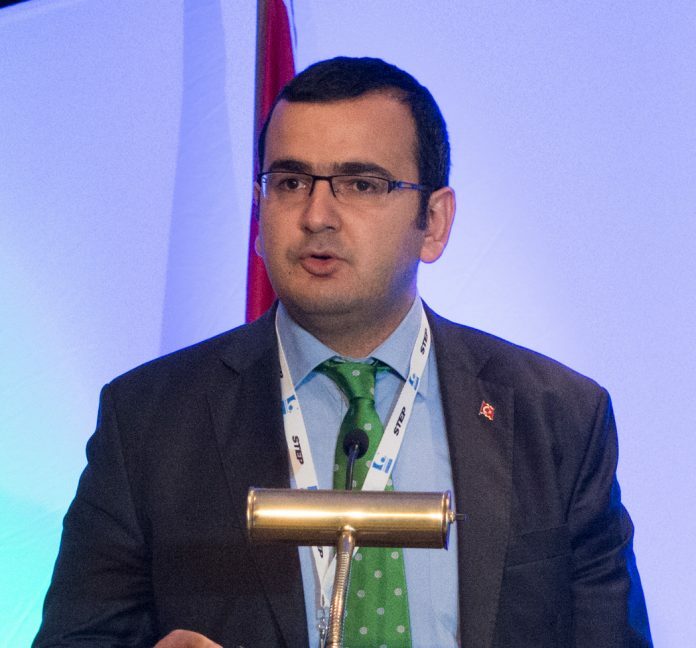 Based in London, Mr. Özdemir is serving as the country advisor for the United Kingdom at ISPAT, the official organisation of the Prime Ministry for promoting Turkey’s investment opportunities to the global business community and providing free-of-charge assistance to international investors before, during and after their entry into Turkey. Before joining ISPAT in 2011, he worked for private sector companies and gained hands-on experience in investment project management in large-scale energy projects and business consulting experience in supply chain management. He served as the country advisor for Canada at ISPAT in Toronto before relocating to London in late 2016. Born in Adana, Turkey in 1979, he received B.Sc. and M.Sc. degrees in Industrial Engineering from Istanbul Technical University and Sabanci University, respectively.